I just returned from presenting at a conference over the weekend. It was an amazing and vulnerable experience to tell my story, and what it’s like to live with PTSD everyday. The group that came to my session was amazing. In fact, all the people were amazing. No matter where we are on our individual paths, just the fact that we are committed to growth and change and, for many the difficult process of healing, I applaud the tremendous courage it takes. This poem is the first thing I had ever written to share what it feels like. It seems like eons ago that I showed it to my very understanding friend, who encouraged me to keep writing. Years ago, but the words still hold true today. There is no telling when it is going to strike. Is that pain real or echoes from pain long ago that resurface with a memory? Thinking today would be the day I am free. Yet sometimes in my head, I can’t remember the last ten minutes of my life, or what day, year or time it is. Are those smells real or is that a smell from a place and time when I was being held against my will? Am I really hearing the sounds of helicopters, planes Cicadas and birds? Or is that the sound coming from a place that no longer exists and should never be talked about? Out of the clutches of PTSD and all the skeleton hand of the past that keep trying to pull me down. I am like everyone else only my job is to live, so I CAN live. That is all I can ask of myself if I am going to have a future. Symptoms, Symptoms go Away, You’re Not Welcome Back, Ever! You poem is raw and moving, with a life affirming end; I wish you success on your healing journey. Lovely to meet you. Im so glad to have found and now follow your blog. You’re very welcome Alexis! Lovely to meet you! 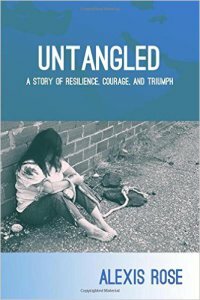 An courageous post about living with PTSD and the everyday struggles. I have nearly lost the battle to PTSD , but I write poetry as a coping tool, best wishes Tony. Thank You! As do you. Thank You! Wow…I really appreciate that! Helps keep me writing. I look forward to hearing more about your experience at the conference! I’m sooo happy for you!! !